Last Thursday I was sitting at home. It was a beautiful night but my girlfriend and I stayed in. The season premiere of Grey’s Anatomy was about to start and I wondered how I was going to kill an hour while she watched Shondaland. I started going through my timeline and the most amazing thing happened. There was a link to watch Thursday Night Football on Twitter. In HD. To say I was happy is an understatement. 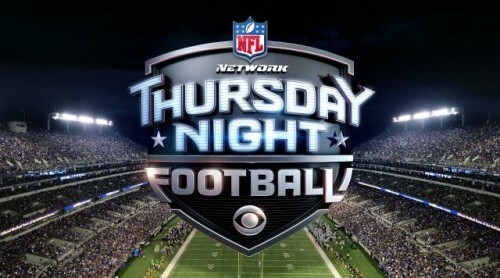 Earlier this year the NFL and Twitter came to an agreement that Thursday Night Football could be streamed, for free, over Twitter. A move that was questioned at the time but boy am I happy that it happened. Thursday Night Football has always had a reputation for being hard to watch, being that players only have three days to rest and all. Anywho, the NFL needed to find a way to get more eyes on the game and they most definitely have found their solution. By streaming free on Twitter the NFL had tapped into a new way to promote its product. It’s hard for people to sit in front of a TV for three hours so by streaming over Twitter allows mobility. It also allows people easier access to the most popular sport in America. Most people have a Twitter account but if you don’t then you’d be more than tempted to sign up now. The NFL is all about the fan experience. The more fun fans have the more money they’ll spend on the product. Streaming games on Twitter is a innovative way to enhance how fans experience the game. The NFL get many things wrong but this is a success. Posted in advertising, football, fun, marketing, NFL, read, reading, thursday, thursday night, thursday night football, tnf.